Mega Commission Machine Review: Can It Really Amp Up Your Commissions? It is no secret that many people are trying to find a way to make real money online free at home. What is there not to like about working from home? You get to stay home, work whenever you want and make as much money as you want. However, with the rise of ways to earn a living online, there have also been a rise in the amount of online scams as well. When I first came across Mega Commission Machine, I was skeptical for what it promised: a guaranteed way to make a living online and to make as much money as you want. That is when I decided to do my own Mega Commission Review to see how legit it actually was. Product Overview: What The Heck Is It? Mega Commission Machine is a website that claims to help people make money online quickly and easily through the use of creating website squeeze pages. It is important to note that the main word that I am using is “claiming” because this website truly fails to deliver on this main promise. 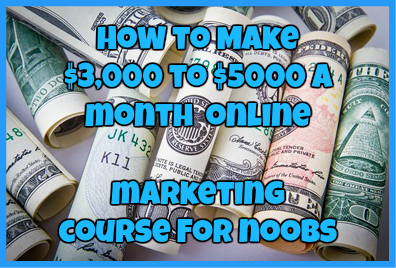 Free Access To Easy Street Smarts Academy To Get The Basics Of Making Money Online. The Website Pressures You To Purchase A Variety of Different Things From The Moment That You Sign Up. Promotes Ineffective Approaches To Making Money Online Such As The Use of Solo Ads. 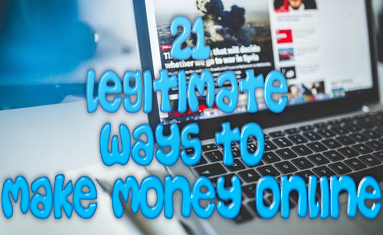 The Website Does Not Fully Deliver On Its Promise Of Helping You To Make Money Online. Who Is Mega Commission Machine For? Mega Commission Machine is a program that is designed for anybody who is looking to make money online in a relatively easy and quick manner. The main problem is that this program uses ineffective approaches to make this money and the methods that it teaches will not help you to make a single dime online. There are various things about this program that I don’t like and after reading this section you will most likely feel the same way. Now, remember Mega Commission Machine is free to sign up, but while it may be free to access the training material, there is a lot of pressure placed upon you to spend money. This becomes obvious immediately after you sign up and the moment you gain access you will be bombarded with the first of five paid promotions that are thrust upon you. Let me give you a small example of this. The website offers a system that you can use that is made up of a few personalized emails in a series that you can send out to your subscribers for a full year. This series that you are given access to consists of 70 personalized emails and for many people this may seem like a great idea, especially if you plan on promoting products from ClickBank. However, do not be fooled by this offer. This email series is designed specifically for an autoresponder such as Get Response or Aweber and these autoresponders usually cost at the lowest $15 a month for the cheapest of memberships. See? They immediately want you to start spending money, knowing full well that you may not even have it, but they couldn’t care less about that. Now let’s take a look at the Solo Ads that this website promotes as one of the best ways to gain traffic to your squeeze pages. It is important to note that there are many ways to drive traffic to a website that doesn’t involve you having to pay any money upfront in order to get it and these sources of free traffic are always readily available. One of the main sources of traffic that this website promotes is the use of Solo ads, but the training that it actually gives on the subject is less than 30o words long. This is a serious problem because it does not give any reader the real truth of how this method of gaining traffic is even supposed to work or what their limitations are. The truth of the matter is that Solo ads are not effective in any way. The way that solo ads work is that you pretty much pay another marketer in order to borrow his or her email list. Then you use that email list to promote your products to their subscribers in the hope that you make a sale in the process. Now, while using an email list is a highly effective way to promote your products, using solo ads is an ineffective practice simply because you are using someone else’s list and you are targeting a specific audience that may or may not have an interest in what you are promoting in the first place. The main concept of Mega Commission Machine is the concept of utilizing squeeze pages and using these pages to boost your conversions, which can increase how much money you make. The truth of the matter is that squeeze pages can be an effective way to getting people to buy the products that you are promoting, but they are very limited in how effective they are. Another truth that is important to know is that today search engines are holding the importance of content on a website above anything else that you can find online today, so simply having a squeeze page is not enough to rank your sites in the search engines. In fact many PPC companies like Facebook and Google AdWords won’t even allow you to promote squeeze pages to promote them. Makes getting the traffic you need much harder doesn’t it? To make matters worse Mega Commission Machine doesn’t even give you the training that you need to drive traffic to your squeeze pages which makes it even harder for you to make sales on the products that you are promoting. Mega Commission Machine offers no support system whatsoever. This is one of the major downfalls of this program. With Mega Commission Machine, the whole approach to making real money online fast and easy is just one bogus approach. This website shows you how to create a single page on a website and somehow gives you unrealistic expectations to earning money online. The truth of the matter is that without relevant and high quality content, you cannot rank a website within the search engines and you cannot drive the traffic you need to make money online. There is absolutely nothing unique about this program or anything relatively appealing about the pages that you create through the training given here. You will only be asked to spend even more money in the process of making money and you are more likely to lose it rather than gain it. With no support system and little training, Mega Commission Machine is not the program to use if you are looking for a way to learn how to make money online. The truth is there are MUCH better alternatives out there. Have You Had Any Success With Mega Commission Machine Before? Or Did You Lose A Lot Of Money Thanks To This Program? Regardless, I Would Love To Hear From You! Just Drop Me A Detailed Comment Below!